Containers to Clinics (C2C) is a non-profit, charitable initiative that seeks to improve the health of women and children by providing access to primary healthcare services where hospitals and medical facilities do not exist. The goal is to bring solutions to people who need them with financially sustainable interventions. 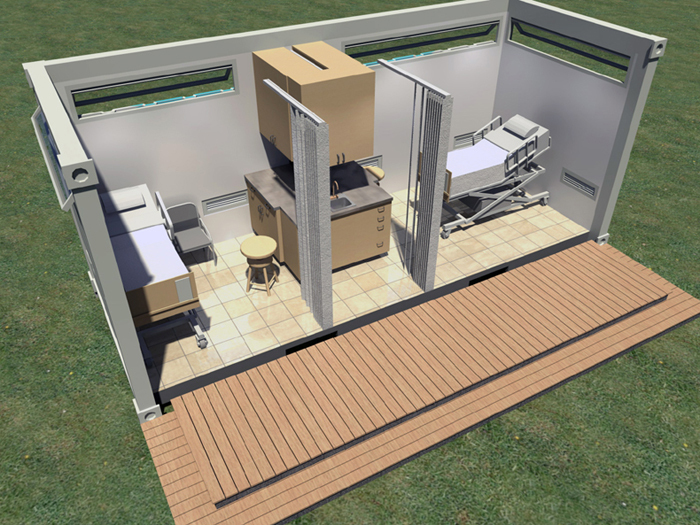 The project was to create a modular health clinic that would be inexpensive to produce and easy to replicate. The shipping container module was chosen for its global availability and standardized dimensions. 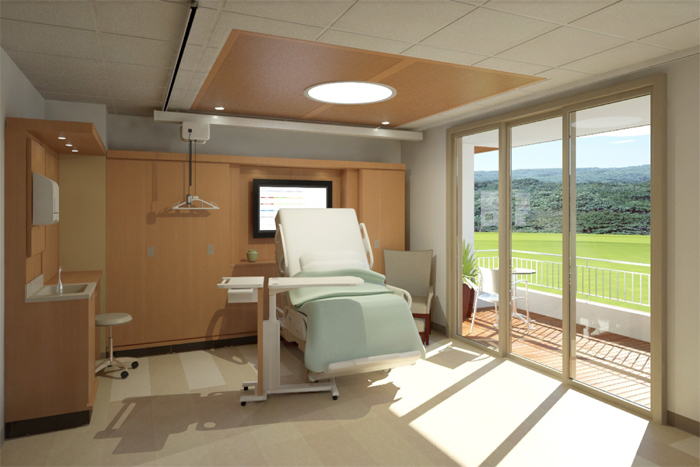 The Green Patient Room was conceived as a product showcase of sustainable materials in a healthcare setting. It has since gone on to include several elements that were derived from Evidence Based Design. This showcase has evolved into a prototype healthcare space that is used to get feedback from healthcare professionals to inform future design decisions. The Green Patient Room is now a full-scale research mock-up that travels throughout North America to gather data about best practices along with facility and user preferences.